Noele Stinson of Coldwell Banker Preferred has just listed the home at 113 Cedar Avenue in West Conshohocken. There is an open house on Sunday, April 14th from 1:00 p.m. to 3:00 p.m.
Near perfection has been achieved in this fabulous Colonial overlooking Conshohocken . Spacious, warm and accommodating this home will exceed your expectations for excellence . The gourmet kitchen was designed perfectly for the avid chef , 42″ soft-close cabinetry, direct vent range, center island with undermounted sink , and the beautiful backsplash ties everything together . The dining room is located off the kitchen allowing the perfect flow for entertaining . Wide plank oak hardwood flooring is featured throughout the first floor , the family room is complete with coffered ceiling and exits out to the patio . 2 well appointed bedrooms with ample closet space , beautiful hall bathroom with a dual vanity and laundry room complete the 2nd floor . 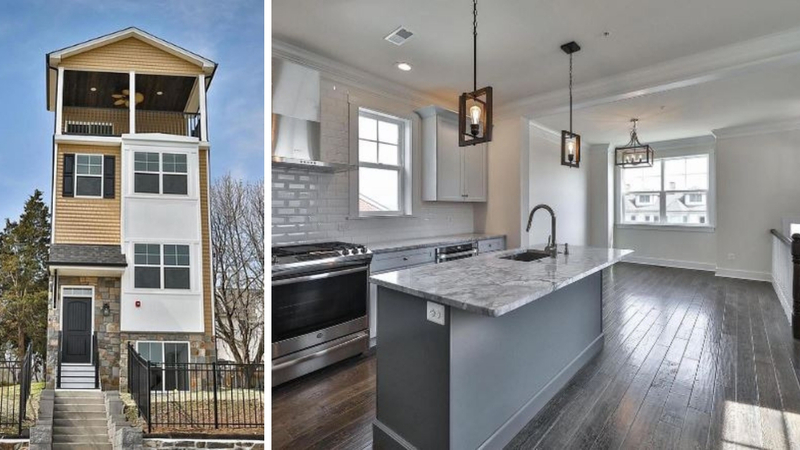 The 3rd floor is spectacular , the master suite is complete with a walk-in closet and en suite bathroom with upgraded fixtures, 2 vanities , glass enclosed shower , enjoy your morning coffee on your deck overlooking Conshohocken . Additional features include , fully finished basement with a full bathroom , and bedroom , 2 zone heating and central air , 9′ ceiling on every level, custom millwork throughout and upgraded flooring . Enjoy this elegant home with a floor plan designed for entertaining . The listing price is $624,900. For more information contact Stinson at (610) 365-4398.